Dewalt Heavy-Duty XRP™ 1/2 in. (13mm) 14.4V Cordless Hammerdrill/Drill/Driver Kit. 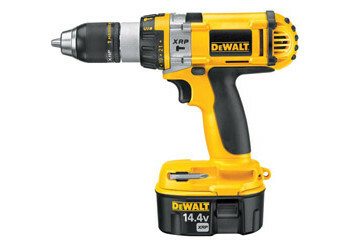 DEWALT built high torque motor provides 450 in-lbs of maximum torque. Patented 3-speed transmission features a maximum 3rd speed at 1,800 rpm. Hammerdrill mode: 30,600 bpm drills faster holes in masonry applications.